While it is most famously associated with the Spanish conquistadores, the truth is that the Classic Spanish Morion Helm, and others like it, was actually a wide-spread piece that was favored all over Europe, by foot soldiers and officers alike. And for good reason, too, as the helmet was not only cost-effective, but also highly protective, too! This particular recreation is a bit more influenced by classic Spanish design, featuring the same high crest and tall peak, which is not only distinctive but also highly defensive (the peak makes impacts on the flat of the head much more difficult to achieve), as well as the wide, curved brim, which served to help defend the soldier wearing it from projectiles falling from above. This version also features hanging cheek protectors on the sides, which are connected around the chin by a leather strap and buckle. 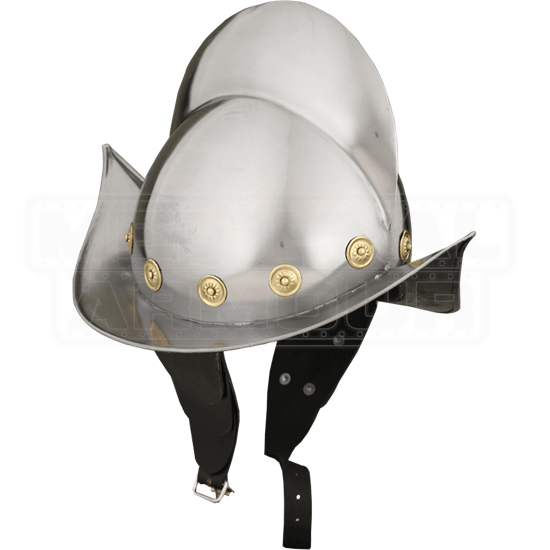 The helmet is made entirely from 18 gauge mild steel, and accented with small brass medallions around the brim. It also features a leather liner, to help make it more comfortable when worn, too. 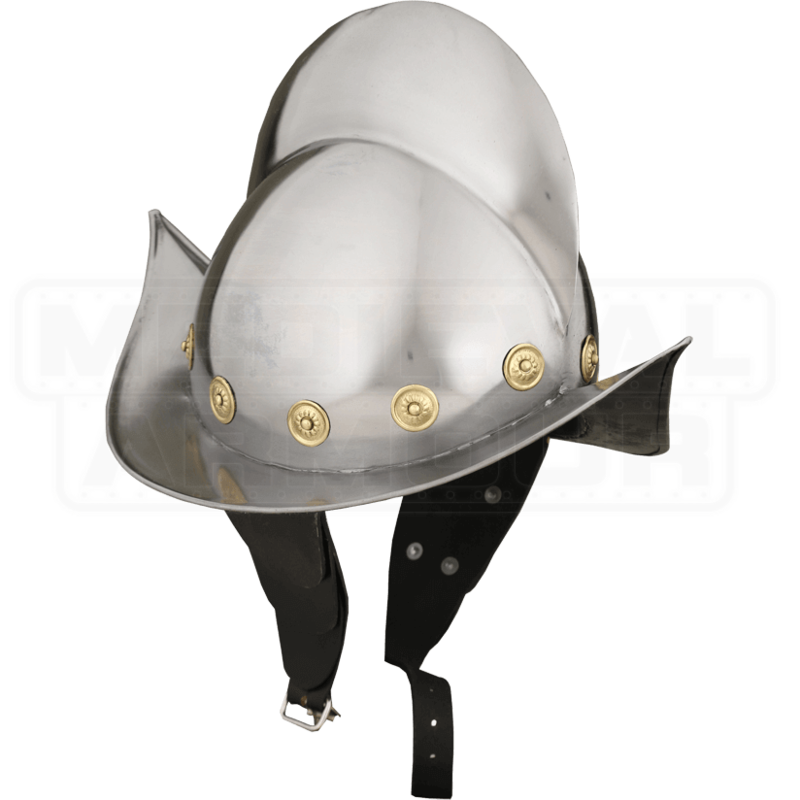 This Classic Spanish Morion Helm, and morion helms in general, possess a rather distinctive appearance, so wearing one is a good way to create a unique look that is sure to get noticed.